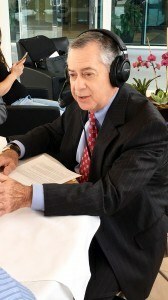 Davie, Florida –Attorney Neal Kalis of Kalis, Kleiman & Wolfe gave Floridian’s a glimpse of Transactional Life Within Real Estate Law on May 20, 2016, on WBZT Radio 1230 AM. Commercial and Residential Real Estate in South Florida is growing but unfortunately some buyers have been hurt by bad titles and other issues regarding the Transactional Real Estate arena. Neal discusses these very important issues. The law firm of KALIS, KLEIMAN & WOLFE focuses on Real Estate Transaction, Commercial Litigation, Personal Injury and Medical Malpractice Law. The firm was founded in 1996 and is headquartered in Davie, Florida, at 7320 Griffin Road, Suite 109 and may be reached at 954.791.0477. Additional information about Neal Kalis or the law Firm of KALIS, KLEIMAN & WOLFE may be obtained from the firm’s website at www.kaliskleiman.com. We serve the following localities: Davie, Fort Lauderdale, Cooper City, Hollywood, Plantation, Weston, Sunrise, Lauderhill, Hallandale Beach, Pembroke Pines, Miramar, Fort Pierce, Vero Beach, Martin County, Broward County, Miami-Dade County, and Palm Beach County, Florida.